Safe drop reminder in POS software helps protect businesses | A blog about smart POS software for independent small businesses. Thanks to the safe drop reminder in our POS software, retailers can expect their staff to act to protect cash in the business. This is another retailer thoughtful facility in our software. A preset amount can be set on a per register basis to remind staff to remove excess cash from the till for security reasons. This is only a cash figure and does not take into account EFTPOS and nor should it. Sometimes it is the smallest of facilities retailers love about software which encourages them to use it. In our case, we have a wonderful and engaged community of users encoring us with ideas regularly. Here at Tower Systems we follow a professional and structured approach to switching retailers from POS software they no longer wish to use. We extract all data we can get access to. Unfortunately, some POS software companies restrict this as if they think it will reduce the number of businesses moving from their software. We provide training reflecting the software they are switching from. We provide senior management access outside the help desk to manage the transition. We prove that not all POS software companies are the same. It can be challenging moving from one POS software package to another. we try and make it as easy as possible. With years experience moving many hundreds of retailers to our software we have practical knowledge on which to draw. This helps us help small business retailers make the transition. We are grateful for these opportunities. We recently were interviewed by email about after sales service for retailers purchasing our POS software for an article to be published shortly. Here is our response. What kind of after-sales support is available with your POS software? Our Australian based help desk is available Monday through Friday from 7am AEST to 6pm AEST and on Saturday from 7:30am AEST through 3pm AEST. We also offer 24/7 after hours support at no additional cost. Our help desk services (office hours and after hours) are backed up by escalation to senior management of the business. Every customer is given the direct mobile phone numbers of our national management team including the owner of the company – as a measure of transparency and commitment to service. Each week we host a live online training workshop covering a part of the software. This includes a Q&A session. Access to this online workshop is free. Via our website we provide access to a comprehensive and constantly evolving knowledge base of articles and documentation. This is accessible 24/7 and can be searched using regular English terms. It is 100% non-technical, user friendly and designed for self service. Our customers also have free access to one on one training. Plus our customers have access to a FREE backup check service and a FREE theft check service. Do you charge on-site servicing fees? If a customer wants additional training then we may charge for that but our experience is that it is not necessary given the free services they have access to. More than 200 retailers are using our recently launched employee roster software. Even though the software is only in beta release, plenty are using it actively i their businesses to manage rostering of employees and managing the labour costs of the business. This cloud based FREE roster software from Tower Systems is another way the company is reinvesting into small business retail channels – to provide tools retailers can use to better manage labour costs. The Tower Systems POS software has had roster software for many years. This latest facility reflects a next generation approach. It is available to any business regardless of the POS software they use. We know the discount vouchers generated by our POS software work well based on feedback from hundreds of retailers using them. We know they drive traffic, revenue and profit. We know they fund themselves. You can see the benefits in the P&L. One competitor, POS Solutions, has on their company blog published extensively criticising discount vouchers. Having now compared their facility to ours we can understand why. The Tower Systems discount voucher facility is completely different to the POS Solutions discount voucher facility. We have counted twenty key differences between our facility and the facility POS has. This comparison was undertaken on documentation POS published on their blog recently. Their settings documentation enabled us to compare facility for facility. The twenty differences demonstrate greater flexibility and power in the Tower discount vouchers facilities. This could be why our customers love them and why we are able to leverage discount vouchers for profit in our own retail businesses and why POS Solutions talks discount vouchers down. Our opinion is we would talk the facility down too if we only had access to the settings POS has documented. There are some similarities – in six areas. 23% of the available comparison points. While the two software companies call their facilities discount vouchers, they are clearly not the same thing. UPDATE (8pm 27/4): We note POS Solutions ‘responded’ today – but what they wrote is not really response. They use obscure and unrelated quotes from others and say nothing about the specific comparison we have made what what is in the document they published about their own software and what we know is in our software. That they have responded as they have indicates they have no response other than to try and divert attention from the difference in response retailers get from their software versus ours. Retailers love our discount voucher facilities and the outcomes they achieve. They have reproduced a screenshot from our software and used it incorrectly and inaccurately. Their time would be better spent serving their customers with better software. UPDATE: (10:30pm 28/4): Garth Brennan a POS employee has commented on their blog saying we don;t detail the 20 differences. We have learnt our lesson of not being specific about differences between our software and POS – so as to not show them what to fix. The document we used was a comprehensive document by POS detailing how to use their software and all of the settings opportunities in their software. The Director of POS talks down discount vouchers as not being viable, to working. What that may be the case for his software, it is not the case for us. The evidence of success is strong despite their wishes that it would be otherwise. UPDATE: (7:05pm 30/4): Garth Brennan now says their comparison was about the cost of our voucher program. It cannot be as they have no idea of the cost. They claim there is a cost of 4.6% The problem is they are making assumptions on how their system works. Our cost is considerably less as retailers using the facility know. Their system is not our system thankfully. This is why so many customers love our system. Bernard Zimmermann the support director of POS weighs in too trying to walk back his own document we compared with. We took the document he made public and compared with the equivalent document for our software. Each document outlines the settings available. This is where the differences emerge. POS users wanting to use a successful discount voucher program are discovering this for themselves. I think this is what is driving their comments about this post. We understand POS wants to talk discount vouchers down. We suspect we would if our software had only their settings. Small business retailers are set from more suppliers joining the Tower Systems EDI user community offering access to electronic invoices, stock files and other benefits. With someone dedicated full-time in our business to help wholesales and others connect with retailers, we are well positioned to be able to help overcome hurdles in suppler organisations. This service is one reason we have more suppliers connected with our customers through our software. The latest supplier coming on board to offer electronic invoices will be a help to many customers as they trade in the newsagency and gift marketplaces – where we serve over 2,000 small businesses. The moment they are ready we will announce to our customers. People purchasing gifts want to ensure that the recipient can exchange the gift if it is not quite right. 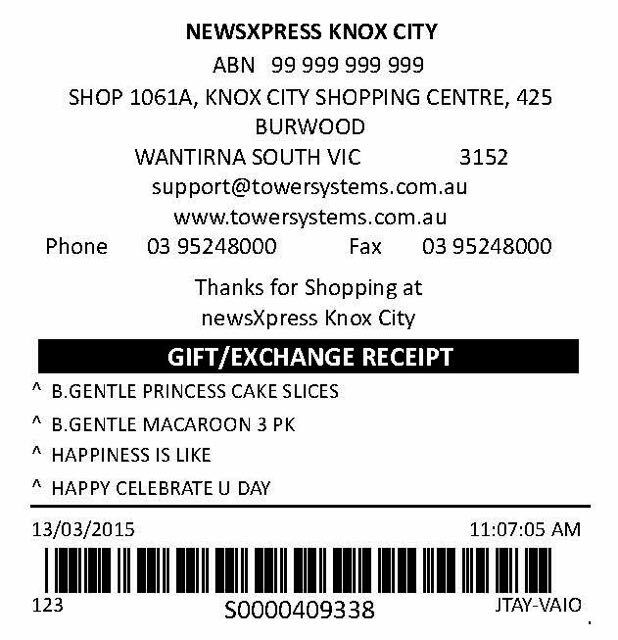 Retailers using the Tower Systems specialist gift shop POS software have the ability to print a gift exchange receipt detailing the items purchased but not the price paid. This facility has been in our software for years. It was developed with retailers offering gift exchange services. The receipt printed was recently enhanced to connect with quality gift purchases. This gift / exchange receipt facility is another point of difference for Tower in several of our retail channels it is am important pert of the Tower AdvantageTM. Theft is something to be managed in your business. You will be stolen from. Good management is about reducing the opportunity for and instances of theft. Follow this advice and the opportunity for theft will be lower and the certainty of detecting it higher. Unfortunately, many retailers read up to here and think this will to happen to them. Too many of these business owners are the ones who do experience the hurt of employee theft. Use stock control for a high volume high interest category (if not all stock). 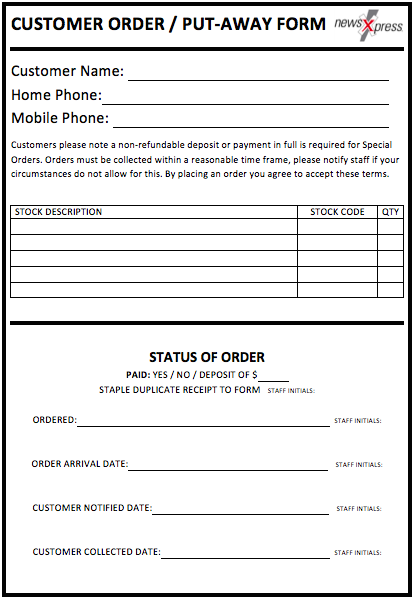 Enter new stock as it comes in, scan all sales and only reorder based on what you software says. Every month do a stock take. Stock discrepancies of the right item are an indicator of theft. Had one retailer we know of been doing this they would have caught their $250 a day employee theft months earlier. Do your end of shift through your software and have a zero-tolerance policy on being over or under. Reconcile banking to your computer software end of shift. One retail business where this was not done was being skimmed regularly for $200 a day. Do spot cash balancing. Unexpected checks can uncover surprises. One retailer needing to do a banking during the day uncovered a $350 discrepancy that lead to discovery of systematic theft. Change your roster. Sometimes people work together to steal. One retailer found a family friend senior and their teenage daughter stealing consistently. Beware of calculators with memories at the counter. One employee used the memory function to track how much cash had to be stolen prior to balancing for the day – cash from sales not rung up. These steps work – based on decades of helping newsagents to reduce and manage employee theft. Theft, employee and customer, costs a typical retail between 3% and 5% of sales revenue. Management attention can cut this dramatically. It does not take much time. No, it is more about having professional processes in place which everyone in the business follows. Talk to any small business newsagent today and they will tell you about renewed competition from supermarkets. Thanks to our ownership of newsagency businesses we have insights and experience we can leverage to help Tower Systems newsagency customers through our industry standard newsagency software. Through our newsagency management software and the customer service which backs the software we can help newsagents reflect a point of difference they can leverage against competitor supermarkets. The leverage opportunities in our software and services are unique to us. We’re not writing about them in detail here because to do so would give followers something to do. The purpose of this post is to remind our customers we can help in non-traditional ways, ways on which you can bank to leverage a point of difference over businesses you worry about and see as too big to compete with. Our management team is here for you with advice, training and assistance for you to use our industry standard software to compete efficiently and effectively. 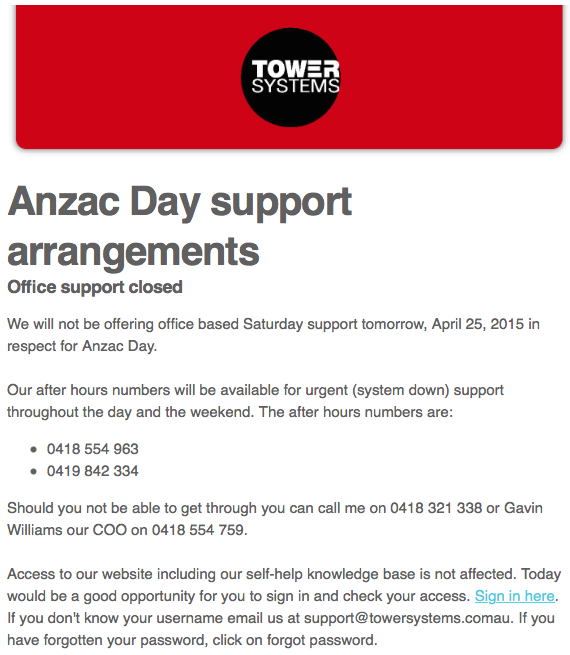 Tower Systems write to its customers to outline customer service arrangements for tomorrow, Anzac Day. While the after hours help desk services will remain fully open and active along with our senior management escalation services, our office based help desk will be closed for the day out of respect for Anzac services and commemorations around Australia and New Zealand. Ensuring customers were aware of Anzac Day arrangements well in advance of the day is another example of transparent and good customer service by the business. 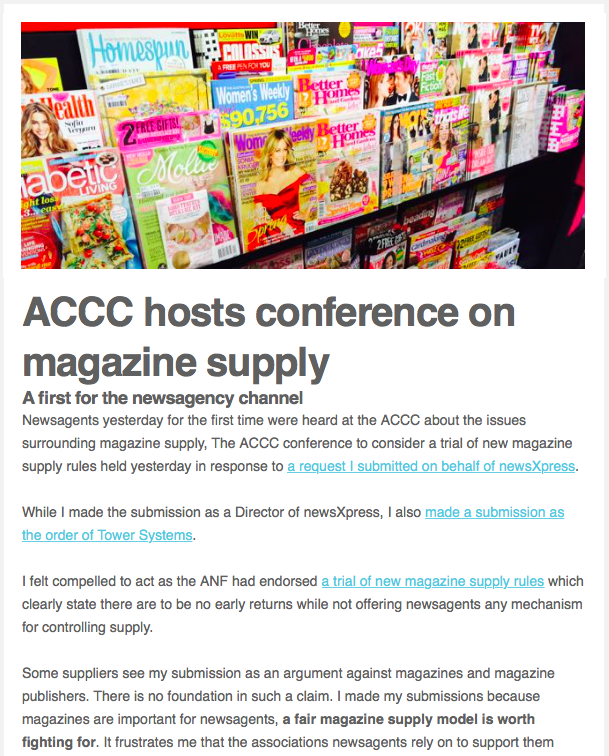 Tower Systems helped develop the most comprehensive response on behalf of small business newsagents to a conference hosted by the ACCC on magazine supply arrangements. The issue at the core of the conference was a proposed trial of new magazine supply rules which would not provide newsagents with any opportunity to be more competitive than the current arrangements which newsagents say, and we agree, make them uncompetitive against supermarkets. 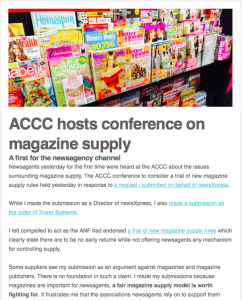 Only Tower Systems and newsxpress petitioned the ACCC for the conference. It is because of these that the ACCC hosted the historic conference in which more than thirty participated in several states. Tower Systems updated newsagents with an email about the conference this morning. To help retailers using its POS software, Tower Systems has produced a video on how to use the PayPal link in retail for receiving payment from customers. This video demonstrates the link that is available now to all Tower customers. 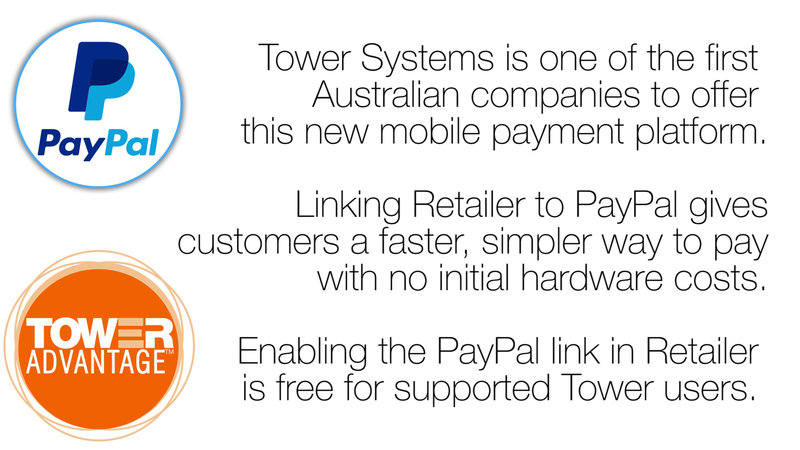 Tower Systems was the first POS software company in its specialist marketplaces to offer the direct PayPal link last year. The educational video produced by Tower shows how the link works in a retail business. We are thrilled Tower was selected by PayPal for this honour. We lost a sale recently because we would not give a sales prospect exactly what they wanted. What they wanted and what we do here at Tower Systems through our POS software were not aligned. We are a specialist retail channel software company, offering software highly tuned and tailored for a specific selection of retail channels. We do this well. We don’t offer bespoke software unless enhancements developed could benefit one or more of our specialist retail channels. In the instance we are writing about today, a sales prospect wanted something specific to their business which had no value to any other customer. While we could have done the work it would have taken attention away from commitments to existing customers. It was for this reason we said no thanks. While it is never easy to walk away from revenue, we appreciate the long term relationships we have in our select group of retail channels and feel we are better served serving them than investing too much time serving the needs of one customer. Not all POS software companies are the same when it comes to software support fees. At Tower Systems, paying a support fee is optional. If you do not pay, you can continue to use the software unhindered. We have competitors who block access to their software if a hefty mandatory annual software support fee is not paid. We think this approach reflects a lack of trust that their customers will love their software enough to want to pay for support. We think this type of fee is unethical as it is not explained in their pre sales process. Retailers purchasing access to their software pay too much for the first year and are then hit with an above average fee for subsequent years. By then, they feel locked in. Shame on this other company for what they do. The Tower Systems POS software help desk is not your average POS software help desk. One way this is demonstrates it its outbound call strategy, reaching out to businesses using our software to offer advice and assistance when not asked. This proactive approach to providing a service is all about delivering unrequested assistance and helping small business retailers achieve unexpected beneficial results from their POS software investment. Part of a structured program put in place by senior management and executed operationally through our help desk professionals, the outbound quiet customer call strategy is is much appreciated. We love the appreciative reaction from some when we call to offer help. Too often we year of POS software help desks which struggle to get to inbound calls for days. resourcing the service so we are able to get to inbound calls quickly and have capacity for our exclusive outbound service is a point of difference we are thrilled to leverage. The Tower Systems help desk has been helping newsagents and other small business retailers with advice and other assistance though difficulties of dealing with water on equipment, power outages and other damage caused by the dreadful storms. We have ensured that calls from businesses impacted by the storms are given priority and this will continue for the next few days until we see things have settled down. Few small business POS software products report on return on investment, stock turn, return on floor space and return on shelf space. The Tower Systems POS software delivers on reporting on these and other KPIs, enabling retailers to have a better understanding of business performance and through this the opportunity to make better quality business decisions. Return on investment, stock turn, return on floor space and return on shelf space are the most vital of retail business Key Performance Indicators. That retailers using the Tower software can access these for themselves and easily demonstrates a valuable point of difference. Since some small business retailers don’t understand the KPIs, the Tower help desk and business management teams offer assistance in understanding and guidance on decisions which can be made as a result of tapping into the KPIs. Your success with POS software is often more dependent on the people behind the software than the software itself. Good POS software is a moving thing. What it does for you today will be different to what it does for you tomorrow. What it does for you tomorrow will depend on the people behind the software. When comparing POS software from different companies, compare the people in the companies, visit their head office and meet the team. See for yourself if the team has what it takes to make you confident they can deliver for you over the long term. Companies which suggest you don’t need to visit are those less likely to have the team you will want and need. Every retail business can sell more to every customer. This is easy when you have good business data and use this to make good business decisions. Making more money from every sale starts with you understanding shopper behaviour today. Get a report from your Point of Sale software listing your top ten selling items, by unit sales for the last three months. Do not look at dollars. Unit sales is the far more valuable count since this is a discussion about leveraging volume. In a typical retail store, the top ten selling items will account for between 30% and 50% of revenue of the business. Do you have appropriate impulse purchase products located on either side of each top item? Are the top items spread through the store, to maximize customer throughput? How often do you move the top items? Do you have the top ten items in multiple locations? What impulse purchase items do you have at the counter which will appeal to customers who purchase any of the top ten items? Has the list of top ten sellers changed in the last year? If so, how have they changed and what can you learn from this. Are there products which you do not currently carry which you could add to the store to sell with the top ten sellers? Do customers who purchase the top ten sellers ask for any other items? The idea embedded in these questions is very simple. Use the top ten sellers, or top twenty or top thirty, to focus your attention on items with which you can work to achieve more sales in your business. By focusing on the top sellers and what you can sell with them you can increase the size of the average shopping basket. If you can’t see opportunities for achieving more sales by placing products next to or with the top sellers then speak with your team and speak with trusted customers. Don’t rest until you unlock suggestions to try. There is plenty of additional money to be made from your top sellers. Invest time and attention on this project and get ready to bank the results. Small business bike shops, jewellers, garden centres, gift shops, pet shops, homewares shops, newsagents and more are using the targeted marketing facilities in the smart POS software from Tower Systems to more closely engage with shoppers. Our targeted marketing tools leverage shopper details including purchase history to facilitate selective highly-targeted marketing to attract known shoppers back into the business. These smart POS software tools are vital to small business retailers keen to be noticed in a crowded marketplace. Tower Systems is hosting another free training workshop on targeted marketing for retailers using its software on May 6. This is part of the weekly free training workshops run by the company for many years now. These workshops are a true point of difference for Tower Systems, they are a benefit retailers love. Linked with loyalty facilities including discount vouchers, the targeted marketing tools in the Tower software are unique to Tower, they offer a genuine point of difference on which small business retailers can rely. We have case studies which offer evidence of engagement growth as a result of using the facilities. Targeted marketing is another part of the Tower AdvantageTM. 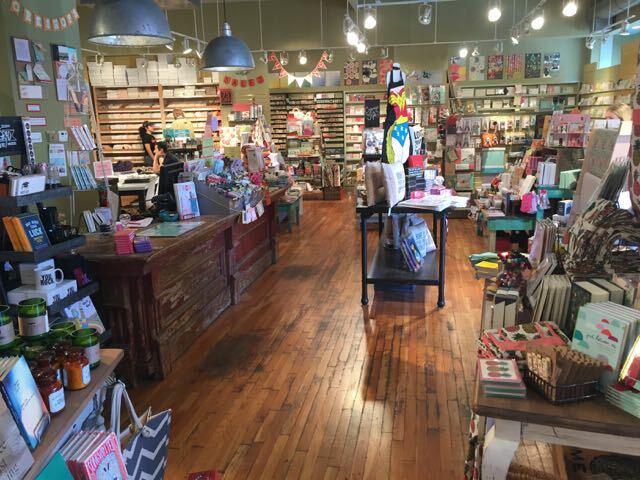 Small business retailers want to grow, who doesn’t? With rent and labour costs increasing each year, growth is mission critical. POS software company Tower Systems helps its customers grow by providing advice on how to use the software to grow. As retailers ourselves we can provide practical advice on how to use the software to more than transact sales, we can help retailers use the software to grow their businesses. We do this every day on our help desk, through our consulting services, through our knowledge base and through our business mentoring assistance. We encourage, guide, educate and support our small business retailer customers in their desire to grow their businesses. it’s something we take serviceably. Even on the weekend. Take today, Saturday … we have been helping one business owner understand opportunities in their slow selling inventory pool to unlock cash and space for more productive use. We are serious in our commitment to small business retailers from our software through to the practical advice and support we provide. What is unique in the Tower Systems Jeweller software? We are a software company, not a consulting business using software as a mechanism for driving consulting fees. We are in your business. Not a contractor we hire, not over the phone, when we install the system we do it in your business, working with you. Second-hand goods. These facilities have been developed with jewellers and authorities so you have the right records on hand. These facilities have been developed to help you streamline workflow and keep in close contact with customers throughout. Manufactured goods. From concept to manufacture, you can manage and track what you make for whom and when. This is a billing and management asset. We offer more facilities than any other system. These offer you flexibility for driving purchases in the current visit and for bringing shoppers back more often. You have access to extraordinary customisation, enabling you to represent your business son receipts, invoices and other documents how you want. Embedded in our software are facilities for tracking how the software us used. This enables us to help you monitor and reduce employee theft. Retail focussed. The big challenge of retail is to uncover opportunities which you can still leverage them. We have smart reports which unlock for you information about your business which can help you here. The POS software from Tower Systems has excellent facilities for handling special orders, pre-orders and other forms of orders for customers that are unique to the customer and a point of difference for the business to offer. Special orders and customer pre-orders are a point of difference for small independent retailers over big businesses. Being bale to do this with consistency and certainty can help these businesses more successfully compete. Thanks to years of refinement and working with retailers in a wide variety of retail situations, Tower Systems offers a competitive advantage from the recording of customer details, tracking an order,k advising its arrival and handling a range of payment options including time payment. We have retailers today transacting valuable business in pre-orders of highly valuable product as a result of these tools in the software. They are financially better off today and over the long term as special order customers tend to return for more orders. We are fortunate to have been part of a retail study tour of innovative retail situations in the US over the last ten days across three states. We have looked at large, small, city, regional, specialty, mass, experimental and traditional businesses. The insights gained are feeding into plans for our software beyond the wonderful advice and feedback from our existing customers. The insights gained range from the retail management practical through to next-gen opportunities.Being on-trend is an important to retail focussed POS software companies as it is to retailers themselves. Competition in our various specialist retail channels being what it is, we will not be sharing any insights here. Rather, our customers will have more private briefing opportunities and our software will deliver insights through change.